Over the year we’ll be profiling many of the amazing students who support the Student Switch Off campaign as Ambassadors. Today we’d like to introduce Frederic! Why did you get involved in Student Switch Off? 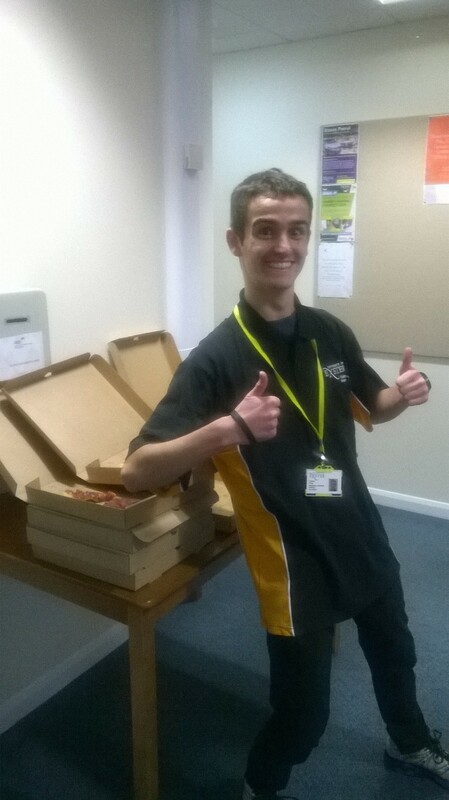 It was cool to get involved with an environmental campaign and it was made easy by having food (pizza and ice cream!) as an incentive to get people involved! You won a pizza delivery for having the highest proportion of students signed up to the campaign at the beginning of the year. What was your strategy? I handed out little reminders to all my mentees to sign up to the campaign on the website. I was able to get everyone excited about the campaign by chatting with my mentees during my regular visits. I would start every conversation asking if people wanted ice cream and pizza! I didn’t actually expect my mentees to get so engaged! They’re so committed to the campaign that they’ve been using only natural lighting and are constantly asking for updates. People have been really keen, which is great. What’s your message to other people about the campaign? Get involved! Go green! It’s so easy to get stuck in – if you want to win prizes just sign up, get your flatmates involved, participate in competitions, and you’ll win! It’s been great fun.